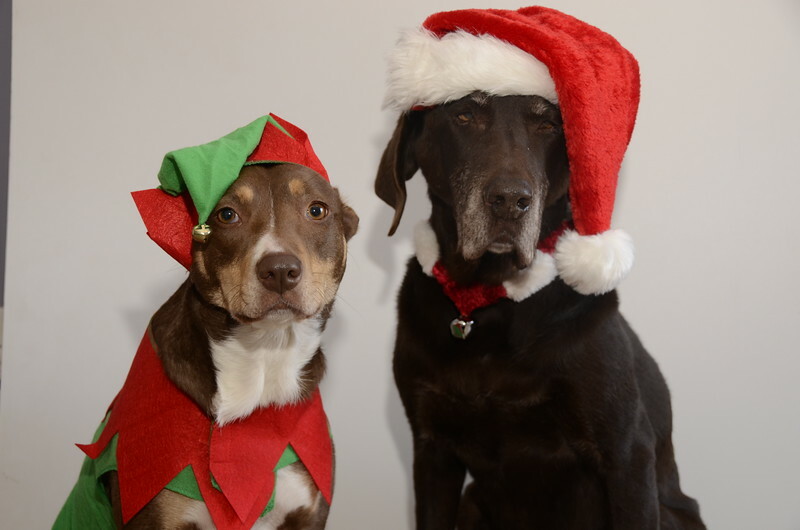 Shelley had picked "Labs in their Holiday Finery" as the theme for December Photo Contest. Here are a couple pics for inspiration! 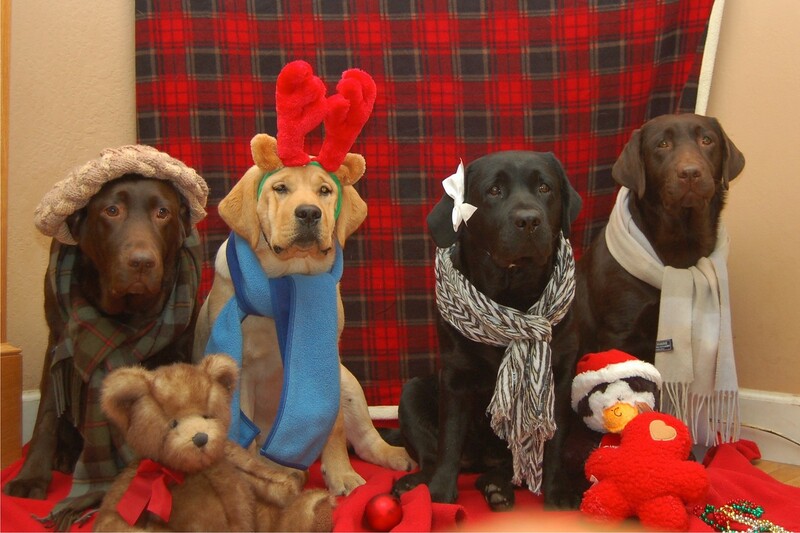 So get those dogs dressed in their holiday best and start snapping pics! Can't wait to see what ya'll come up with!!!!! Don't know if I can come close to Shelley's pictures but I'll see what Katie will allow. the last one is the entry. 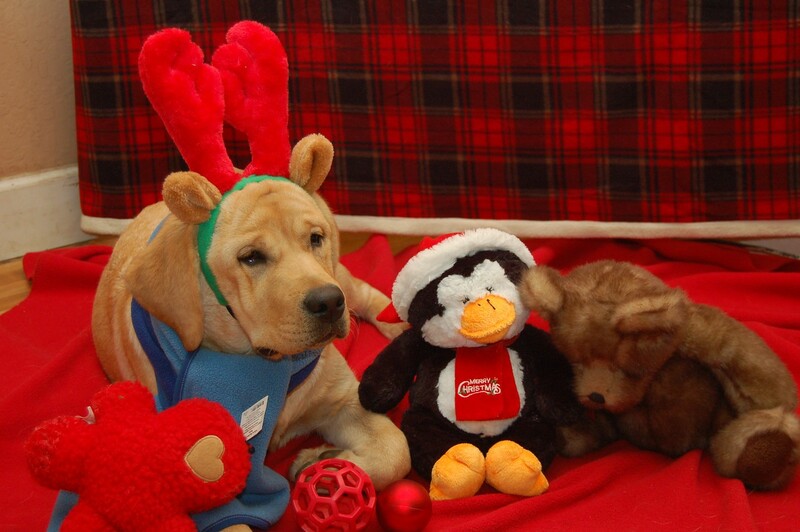 He hates when I make him dress up. 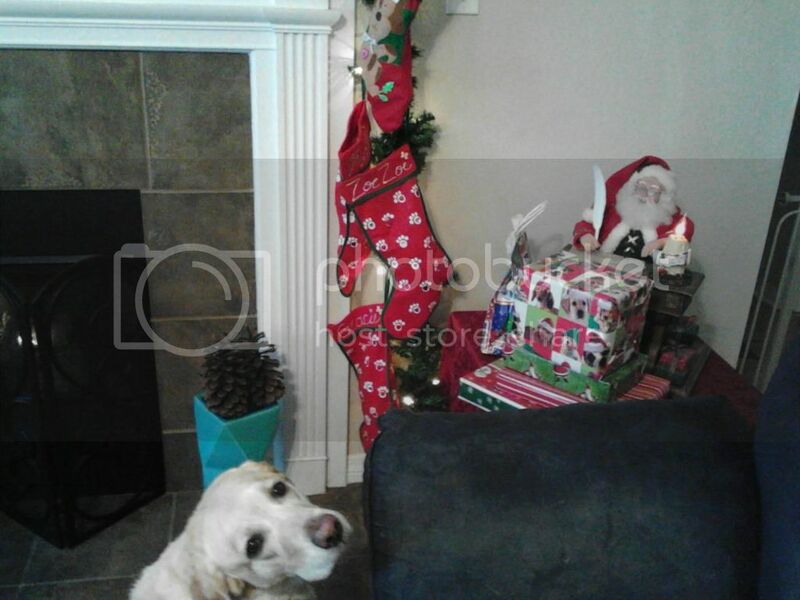 Gracie knows the stockings are for them.